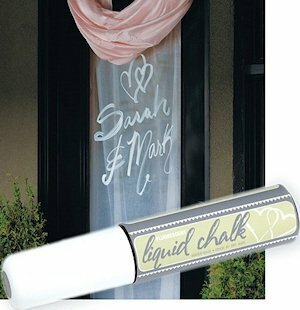 Let the creativity flow and decorate the happy couple's car safely with this liquid marker that turns to white chalk when dry. It's also great to use on windows and doors! 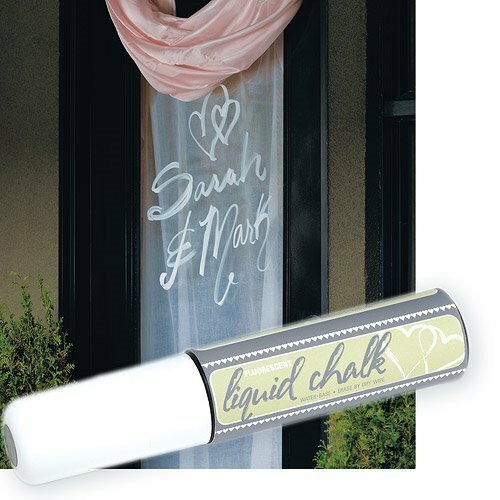 This chalk a fun way to celebrate by decorating the event in your own style for a personal touch that your family and friends will enjoy. Great for anyone interested in DIY projects! The best part, once you're finished with the drawings you've made, the marker is easily removed with a damp cloth.